Is Neil Gaiman really doing a live reading of the Cheesecake Factory menu? 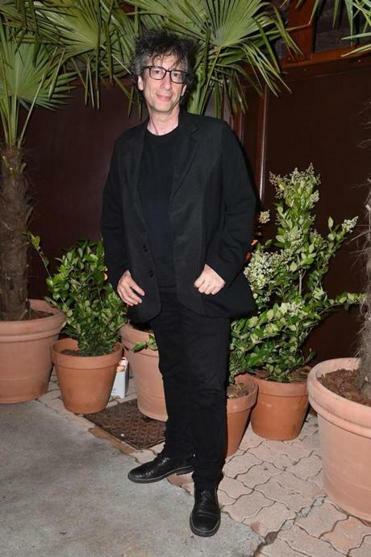 Neil Gaiman in Cannes, France, for the 70th Cannes Film Festival. Author, comedian, and former Emerson student Sara Benincasa had an idea after a recent visit to the Cheesecake Factory. What if “American Gods” novelist Neil Gaiman did a live reading of the lengthy Cheesecake Factory menu? What if he did it for charity? Benincasa said she tweeted her idea as a “half-joke,” asking Gaiman if he’d read the menu if she raised $500,000 for his charity of choice. Gaiman agreed, saying he’d like the money to go to UNHCR, the United Nations’s agency for refugees. Benincasa launched her CrowdRise fund-raising page Monday afternoon. Already she’s raised more than $30,000 with a deadline of June 20, World Refugee Day. Even if she doesn’t make her goal, all of the money will go to the cause, she said. Already, Benincasa has been boosted by Gaiman, who continues to retweet messages about her mission, and both the UNHCR and the Cheesecake Factory. The restaurant chain, known for its massive menu, presented to patrons as a thick spiral book, tweeted “Let’s make this happen!” with the hashtag #neilcake. She added that although the Cheesecake Factory isn’t a donor at the moment, she would be pleased if they became one. She also said she might invite some special guests to help read, just in case Gaiman can’t get through every item.